Rug Appraisals: At Woven Concept, we do rug appraisals for our own rugs & rugs bought from somewhere else, if requested by our clients. Either you can bring your rugs into one of our showrooms or we can visit your home to evaluate your rug. 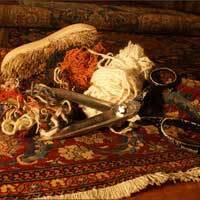 Rug Repair: Damaged rugs can be restored to their original condition by seaming, re-weaving, re-fringing, surging or binding by our highly skilled weavers. Cleaning: We do professional area rug cleaning based on the nature of the weave, fiber (wool, silk or synthetic) and dyes used in the hand knotted or machine made area rugs. 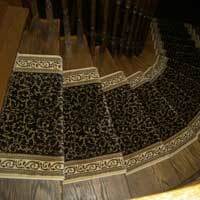 Stair Runners Installation: We have a wide range of stair runner selections from traditional to contemporary designs and we provide the services of runner installation on the stairs as well.